If you want to hire a guide while you're out and about, only hire one wearing a badge of an official tourist agency. Other "guides" should be avoided. As "petit taxis" (small, yellow taxis) can be expensive, and many sights are close together, most travel will be on foot. Make sure you wear appropriate footwear. Dressing modestly for men and women is suggested. 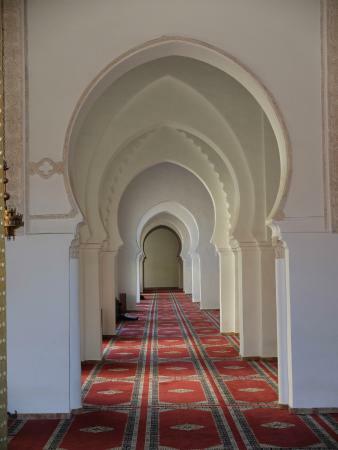 Covering shoulders and knees is expected, especially when visiting mosque areas, where it is required. Leaving a few DH as a tip for restaurant bills is considered polite. Check to make sure a service charge has not been already added before doing so. Bring tissues and hand sanitizer with you, as many restrooms about town do not provide toilet paper or soap. Some tours and guided experiences have pre-arranged pick-ups from your hotel. If you choose to hire a guide, ask about pick-up and drop-off options. (Often at no extra charge). If you choose to take a petit taxi, agree on a price before entering. When leaving the airport, taking a bus to your hotel will be far less expensive (ask at the airport). As a rule of thumb when shopping, always agree on a price, and clarify that the price is in DH — not dollars, euros, or pounds! 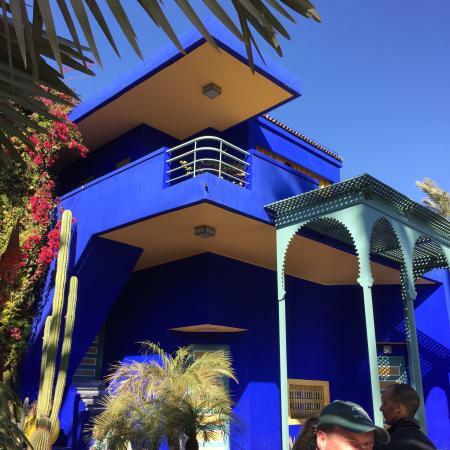 Jardin Majorelle, the product of over forty years of loving design by artist Jacques Majorelle, is an oasis in the middle of Marrakech's busy streets. Away from the noise and bustle of the souks and the Medina, ease into your vacation with a relaxing stroll around these small but intensely charming premises, where paths are shaded by palm trees, exotic plants and traditional architecture dot every corner, azure blue mosaic and bright yellow tiles delight the senses, and cactus plants, lotus flowers, and water lilies paint a vivid landscape. The majestic flora is nested by beautiful birds who call their song while you walk. Streams, pools, and fountains also give the garden a cool, soothing effect, and after taking in the gorgeous scenery, you can visit the on-site cafe, to have a tea and rest your limbs before continuing your adventure. The garden is open every day: from 8:00am until 5:30pm in the off season, until 6:00pm in the busy season, and from 9:00am-5:00pm during the month of Ramadan. 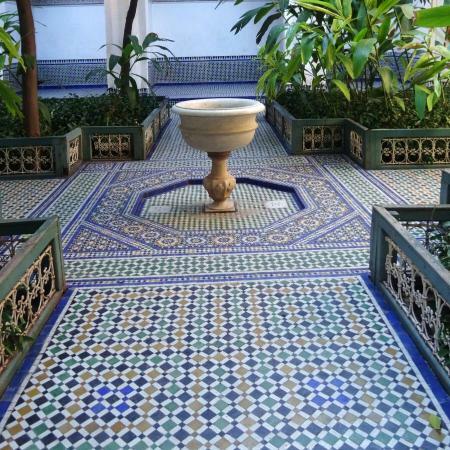 The entry fee for Jardin Majorelle is good value. 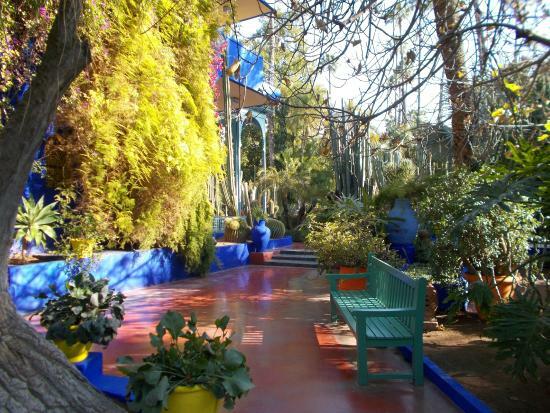 The Ecomusee Berbere is found inside the Jardin Majorelle, and highlights Berber culture in the region. 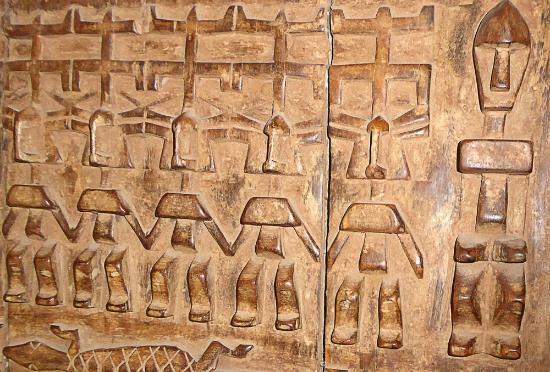 It has a general collection of art and artifacts, as well as rotating exhibitions. Once a painter's studio, the small space now provides an intimate home to videos detailing Berber daily life, mannequins in traditional dress and jewels, and informative blurbs on indigenous people and their histories. 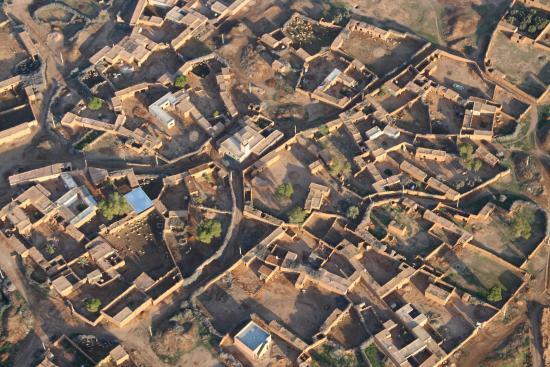 Worth the visit to really gain an appreciation of Marrakech and the rural townships surrounding it. Please note that no photos are permitted inside the museum. The museum has handouts with English translations of its history and main exhibits, at no extra charge. A short walk from the Jardin Majorelle, the Medina of Marrakech is one of the city's biggest draws and the grandest of all Berber marketplaces in Morocco. 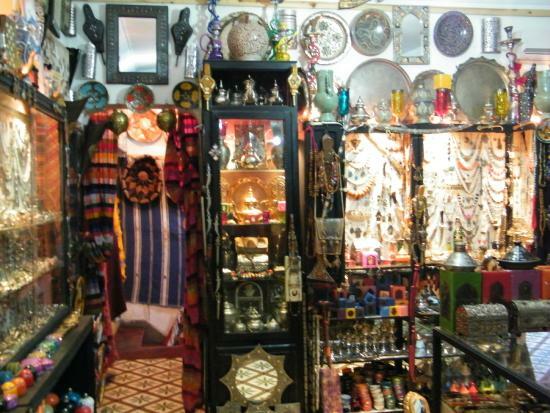 A swarming center of commerce, the souks at the Medina sell goods ranging from carpets to leathers, pottery to jewels, lanterns to spices, and more. Plus, snakes, monkeys, and donkeys with laden carts are added to the mix of traffic. Visit to have a mint tea, browse traditional wares and food, and soak up the colorful stalls and surrounding architecture. Remember to haggle! Be careful of thieves in this area, on foot or on motorbike. Keep careful hold of your items, and be especially vigilant when taking out your wallet or mobile phone. 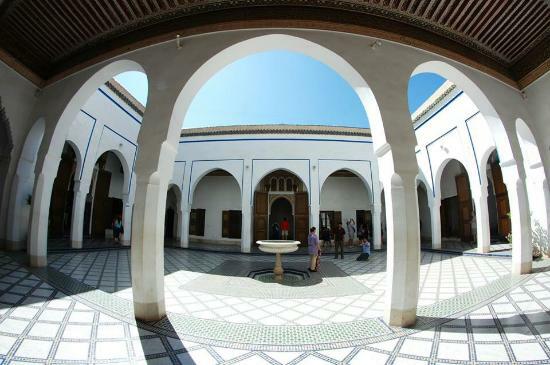 As the Medina can be a bit dizzying, your hotel can recommend a guide for your excursion. Be aware that guides often work with sellers, and will take you to specific stalls. Sellers in shops and stalls can be very aggressive. Feel free to browse, but try not to engage sellers unless you really want to buy something to avoid a sense of bullying. Be aware that often, taking photos of or with an animal (a pet monkey or snake) will cost you. Ask about the price ahead of time. 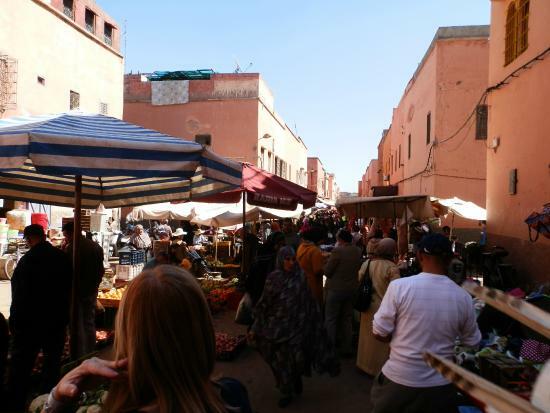 Haggling is a tradition of the souks. 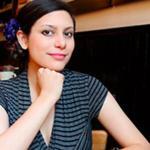 If you do not like a price after bargaining, feel free to walk away. Often, this will get your price lowered. But do try to be fair! 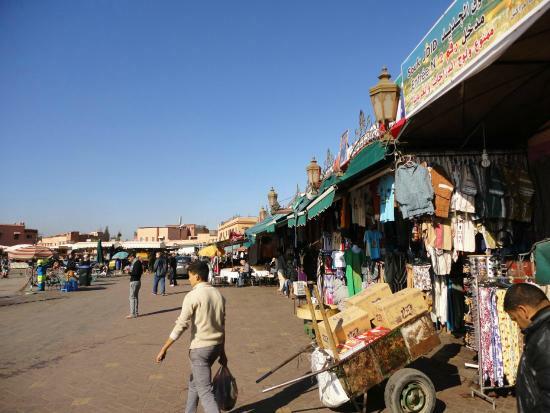 Jamaa el Fna is at the heart of the Medina, and serves as a main square. Stop here for lunch, as restaurants rule the scenery, and various foods and fare are up for the tasting. Sweet cakes and ginseng teas sold at stalls make for a wonderful after-meal desert, and rooftop restaurants and terraced stalls offer equally tasty treats. 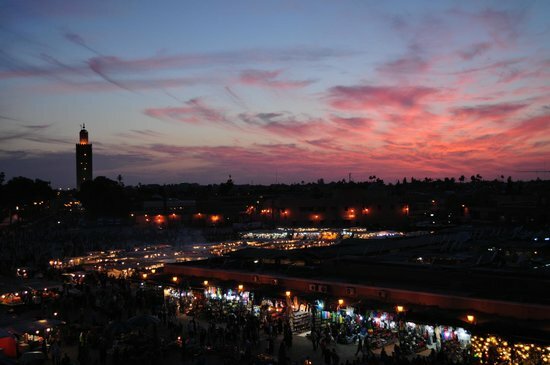 So sit down to a meal among the snake charmers and storytellers of Jemaa el Fna! 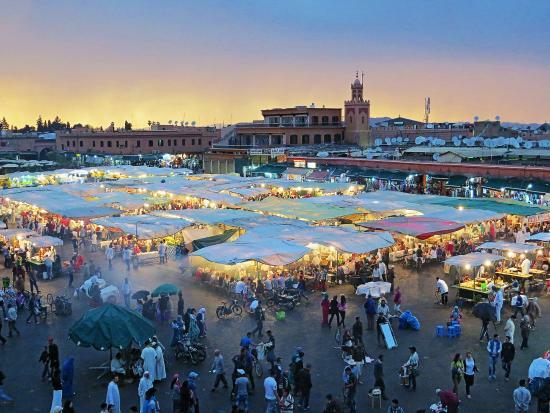 You may also want to pay a visit to Jamaa el Fna by nightfall, when it is at its most crowded and lively! A great time to see the stalls and grab a bite for dinner. Be sure to clarify the price of everything before ordering. If any item has an unlisted price, ask. Nothing is free, including bread/water. 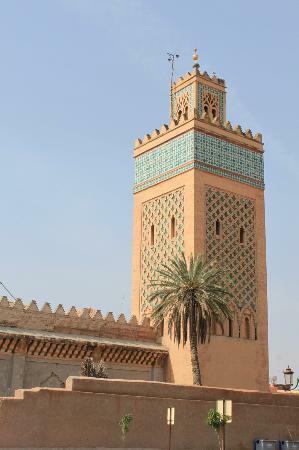 The Royal Palace of Marrakech is a complex with a rich history dating back to the 12th century. 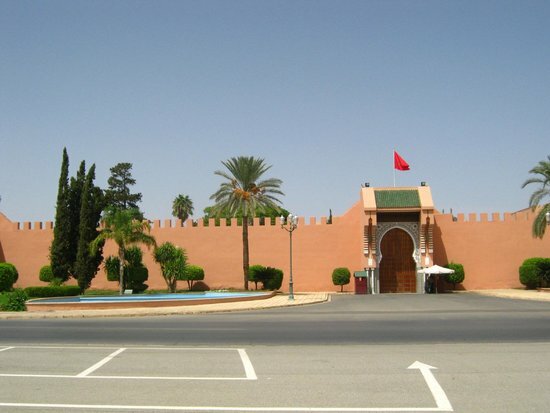 While visitors unfortunately cannot enter the palace complex itself, its location on the outskirts of the southern Medina and near to El Badi Palace make it a quick and easy stop for visitors to take in the high walls, manicured trees, and gargantuan wooden doors that protectively surround the palace. 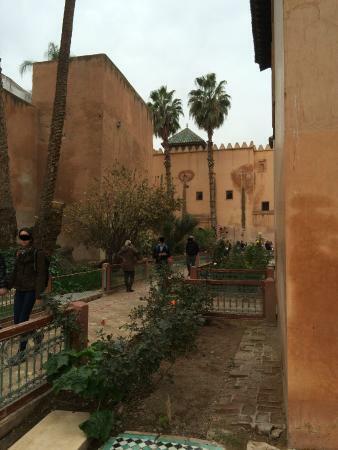 No photos of the palace walls are permitted, for security reasons — guards will prevent you from taking any. A stop at the palace is purely for seeing the ramparts. If you are very interested in the palace, city walking and bus tours will offer more information on its history, infrastructure, and use over time. 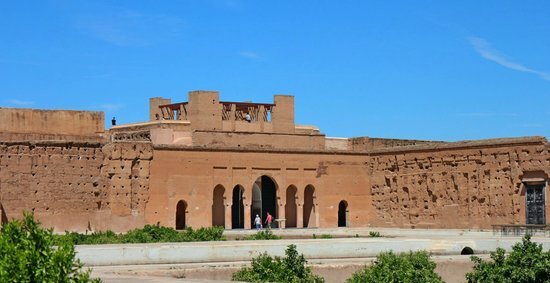 Close to the Royal Palace, the ruins of El Badi Palace date back to the 16th century, when it was constructed as a seat of power and luxury. Though it fell into disuse and was stripped of many of its adornments, the courtyards and main rooms are still well-kept, and a visit to the palace will take you back in time and fuel your imagination. The courtyards, gardens, and pools afford a rare, peaceful atmosphere, and visitors are welcome to visit the historical museum on-site, the underground tunnels weaving beneath the palace by lantern light, or to simply stroll the hallways and walks. 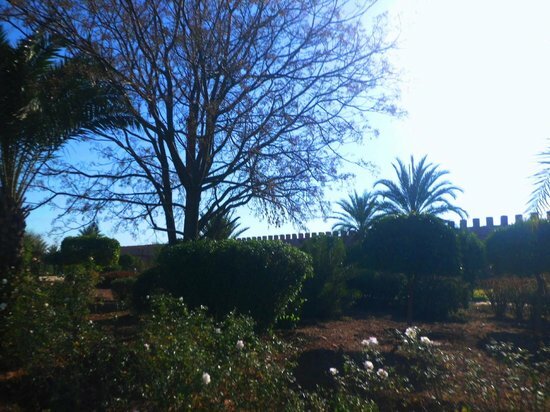 Be sure to take a moment to step out onto the terrace, where a stunning view of the Atlas mountains await. 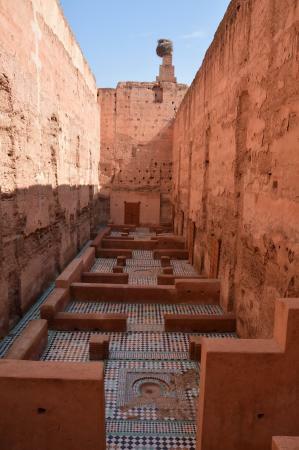 The entry fee for the El Badi Palace is great value. 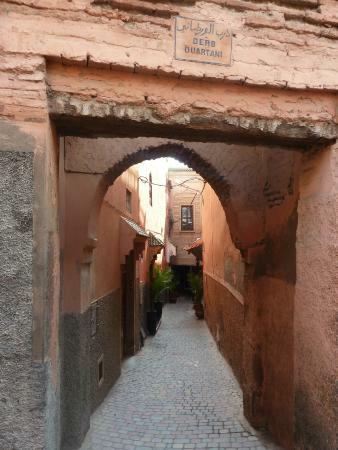 The Marrakesh Folklore Festival takes places at El Badi in June. If you are visiting during that month, check for festivities and events. To round off a day of palaces, end on the Bahia Palace, which still retains much of its grandeur. 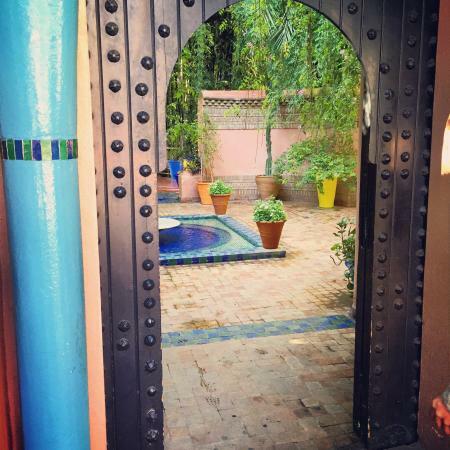 With arching courtyards, heavy wooden doors, and complex mosaic floors, the Bahia is an ideal place to soak up the best of Marrakech's architecture. A splendid place to take photos, the Palace also caters to history and culture buffs by providing an informative tour of the grounds at no extra charge. There is a small square located outside of the palace where you can shop or grab a meal after your visit. It is less crowded and noisy than the souks. 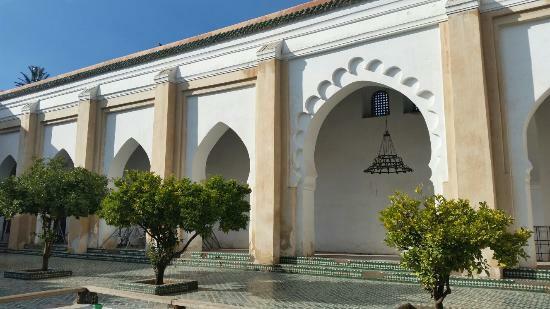 Built in 1230, the Kasbah Mosque is considered a National Historical Monument, and one of the most important Mosques in Marrakech. Located in the city center, the towering minarets are impressive at any time of day, but it may be best to do the Mosque visit during daily prayer times, when the doors are thrown open and visitors can sneak a peak at the architecture and decoration within. 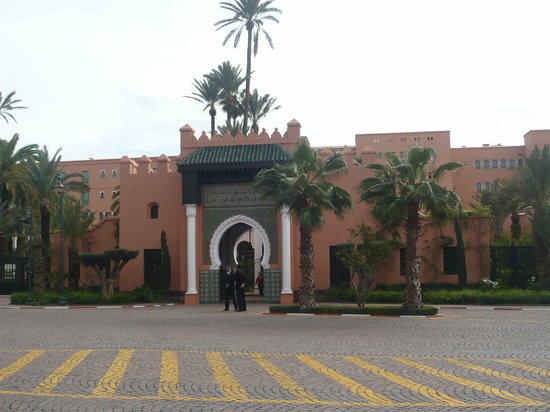 Please be aware that many North African countries, including Morocco, restrict non-Muslims from entering Mosques. 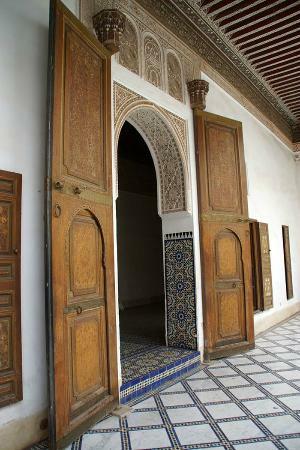 You cannot enter the Kasbah if you are not a practicing Muslim. 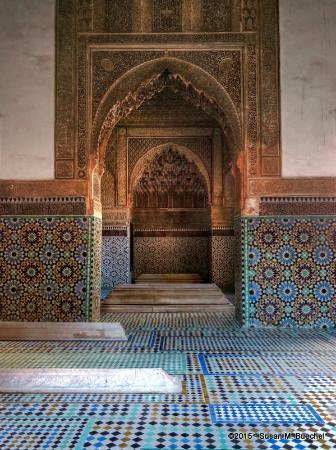 Situated behind the Kasbah Mosque, the Saadian Tombs hail from the 16th century and were returned to their former glory and beauty after being re-discovered in the early 1900s. The mausoleum contains the intricate burials of over fifty members of Saadi Dynastic royalty, as well as an attractive garden area containing the grave sites of servants and soldiers. 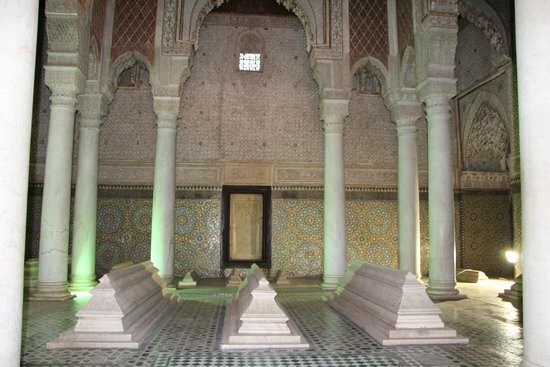 The highlight of the mosaic masterpiece is in one of the central three rooms, where the sultan's grandson Ahmad al-Mansur is buried. Columns raise the roof high above the marble detailing and cedar steel, a true monument not to be missed. The tombs are prowled by stray cats. While the cats are generally ambivalent, if you do decide to approach one, be careful, as they are wild and may bite or scratch. 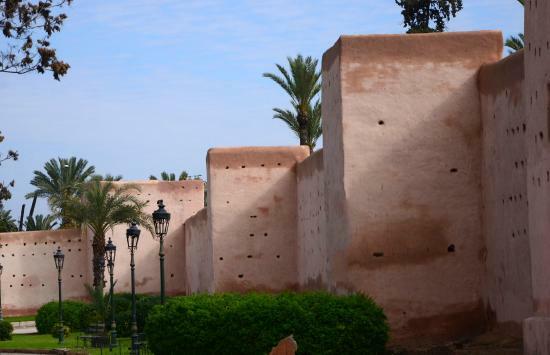 Across from the Saadian Tombs stand the ancient defensive walls of the Marrakech Ramparts. 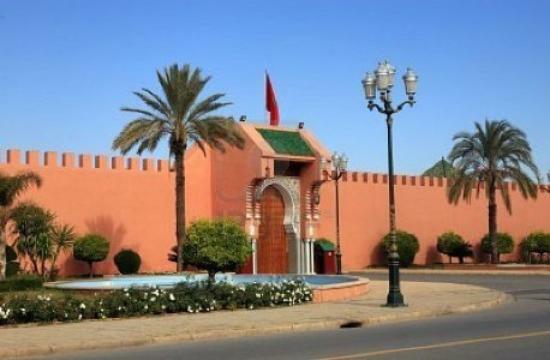 Its 19 gates afford primary access to the city, and the tall pink walls that spread far around the area speak of Merrakech's military history. 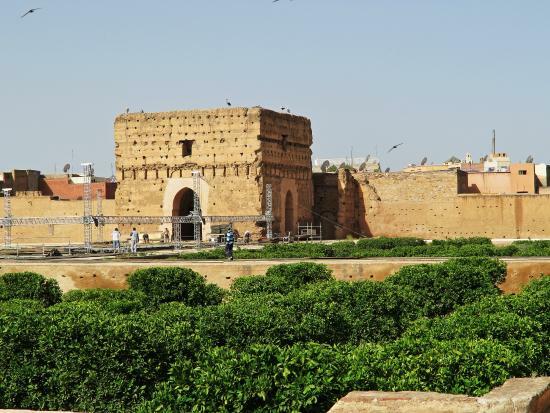 The gateways are the primary focus of a visit to the ramparts, and the ornate Bab Agnaou gateway stands nearest to the tombs, with a façade of brick and stone forming a decorative horseshoe arch that makes it most impressive. It is not necessary to explore all of the Ramparts, as they are repetitive. A quick visit to take in the size and breadth of the walls should be enough — a fun and easy stop. 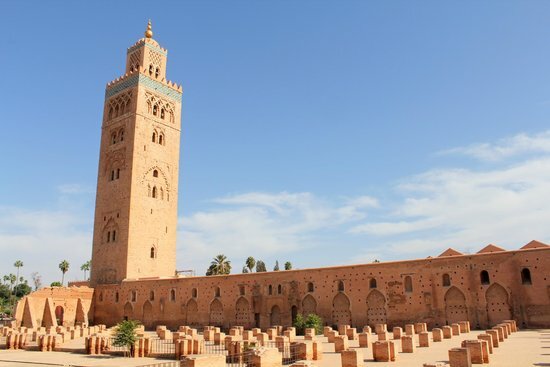 The Koutoubia Mosque, the largest Mosque in Marrakech, is a stunning sight by night or day. While it is floodlit by nightfall, by day its arching windows, beautiful gardens, burbling fountains, and stony facade can be appreciated to the fullest extent. 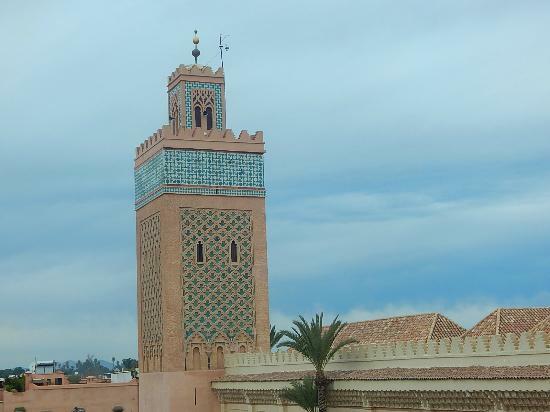 Its minaret stands at over 250 feet tall, and can be seen from almost anywhere in Marrakech, leading the way to the Medina, and proving an architectural wonder. A short stroll around the Mosque is a refreshing and leisurely way to take in one of the city's most important structures. Once again, non-Muslims are not allowed to enter the Mosque, but the garden grounds are free for anyone to stroll around. 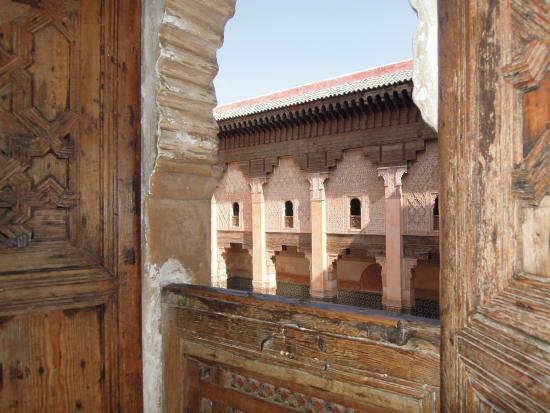 The Ben Youssef Madrasa functioned as a theological college throughout the 14th century and into the 1960s. Today, its halls, classrooms, courtyard, and dorms — decorated in gorgeous geometric and floral patterns of cedar, stucco, and marble — welcome visitors. 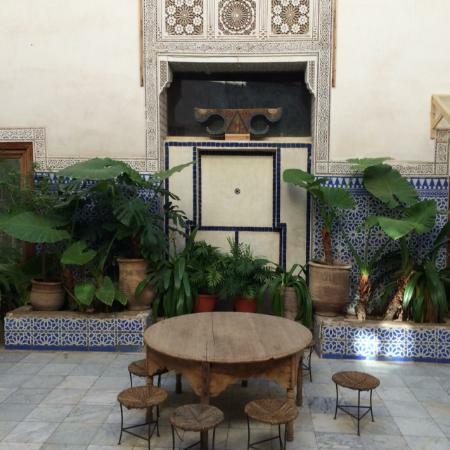 A quiet, shaded place to rest and take in Morocco's scholarly and religious past, and to feel what it must have been like to learn in this venerable space. 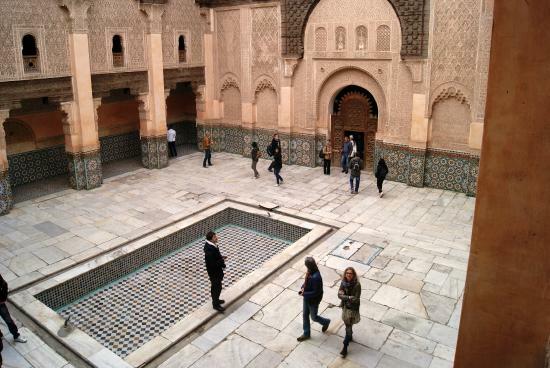 A combination ticket to Ben Youssef and the nearby Marrakech Museum is available. Recommended if you have the time to explore both. After so much walking around and taking in the sunshine, a relaxing hammam experience is just the thing for winding down. At the Mythic Oriental Spa, massage, body scrubs, treatments, and steam rooms await. 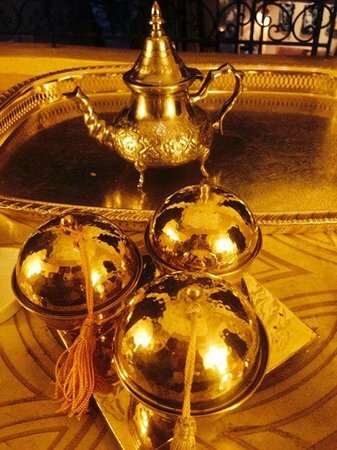 Furnished with relaxing music, soothing tea, and tasty sweets, the Spa experience can be customized to include what it is you (and your travel companions) are looking for, all within a private, intimate, and professional setting. 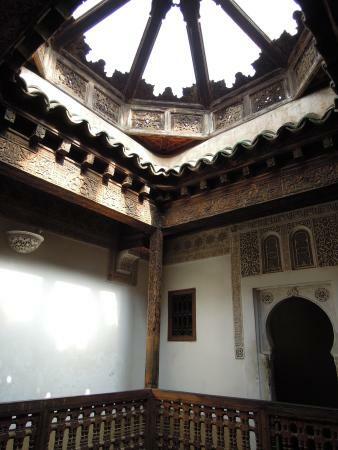 While this hammam is less traditional than others, it's clean, safe, and has a splendid setting. 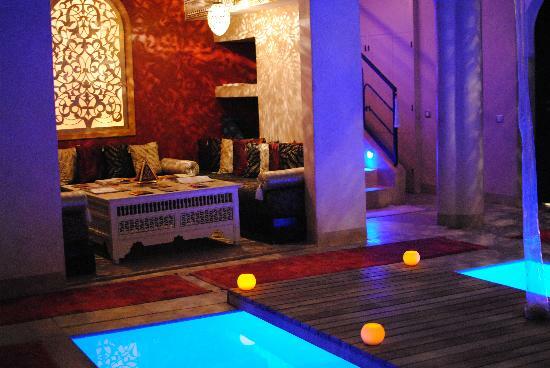 Compared to other hammams, Mythic Oriental is on the pricey side. If you would like a less expensive experience, ask your hotel for recommendations near to where you are staying. 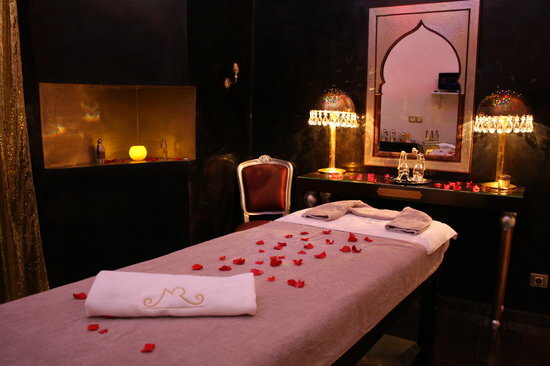 If you are on a trip with your partner, the spa offers couples' massage packages. Sometimes the hot water tap runs out at this spa. Please be aware of that before taking a shower. 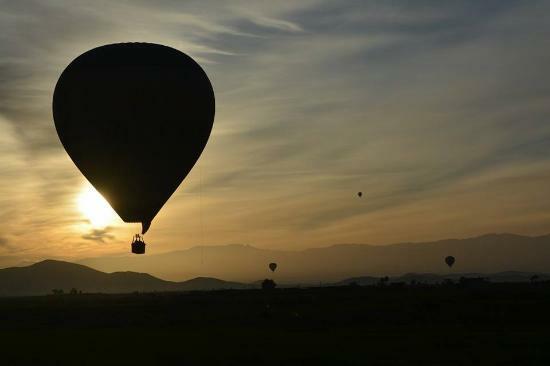 See Marrakech by sunrise in a hot air balloon with Marrakech By Air. On your third day, taking a tour of the city by land or sky is recommended. With this option, visitors will be driven before daybreak to the take-off site, where a breakfast buffet awaits. 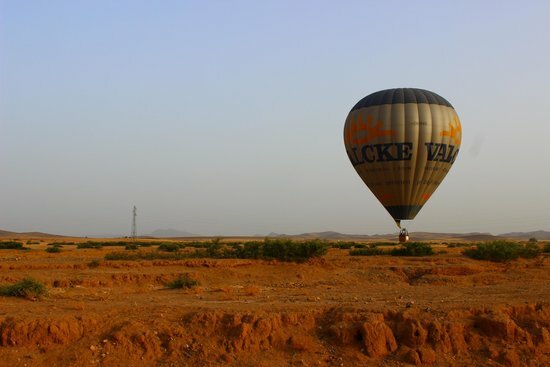 After a trip through the skies, viewing the mountain ranges and villages surrounding Marrakech from on high, touch down and end the experience with a fanciful camel ride. A fun and interesting way to spend the morning, engaging with locals and keeping off your feet. Be aware that air balloon rides are subject to weather. This is monitored very closely, minute-to-minute, so rides may be cut short for safety reasons and partially refunded. 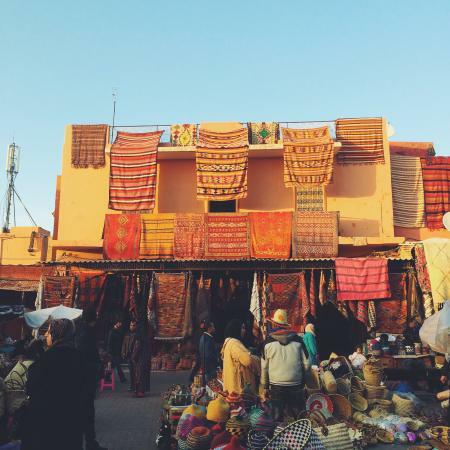 For an on-foot tour, customize a day trip with Visitas Guiadas de Marrakech. 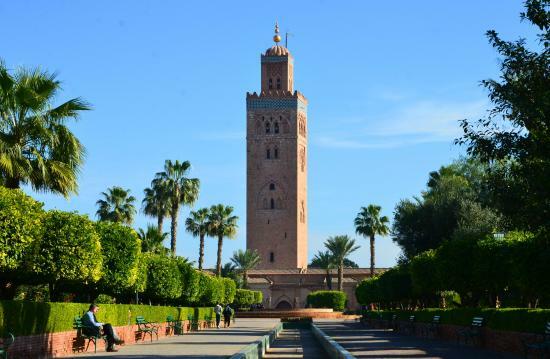 Whether you decide to hike the Atlas Mountains or take on the Sahara Desert under a starry sky, whether its a high-intensity adventure or a relaxing day you're after, the Vistas guides will help plan your perfect tour of Marrakech and its environs. 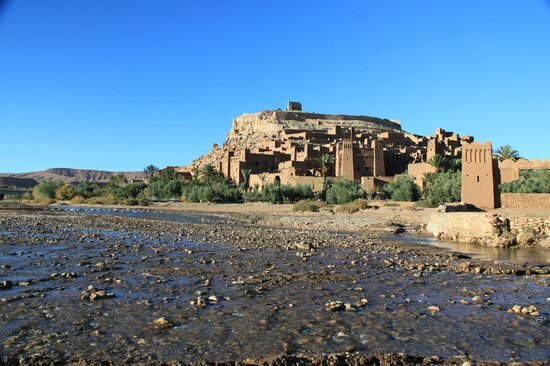 With tours that span three hours to full overnight trips in Berber tents, you can choose from informative, historical day trips, cultural visits to rural villages, sporty skiing and climbing adventures, or foodie days out, trying local fare and visiting the souks. 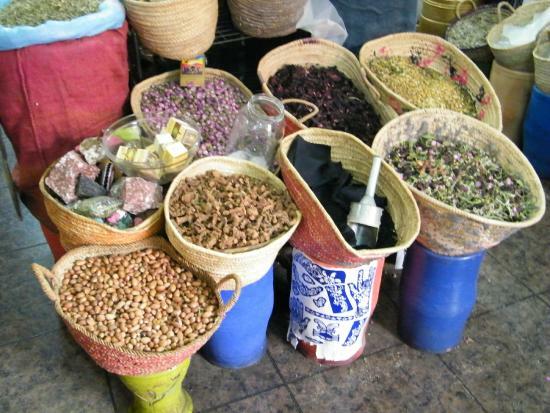 With a plethora of options to choose from, all of your Marrakech touring needs can be met. Pricing is based on group size and activity type. Visit their website ahead of time to plan tours and get estimates. For those who do not want to do a tour and prefer to stay in the city center (or, for an after-tour option, for those venturing out and returning early), there is Maison Tiskiwin to explore. This museum houses the artifacts of Dutch anthropologist Bert Flint, and its collection includes Berber clothing, art, crafts, jewels, and historic household items. 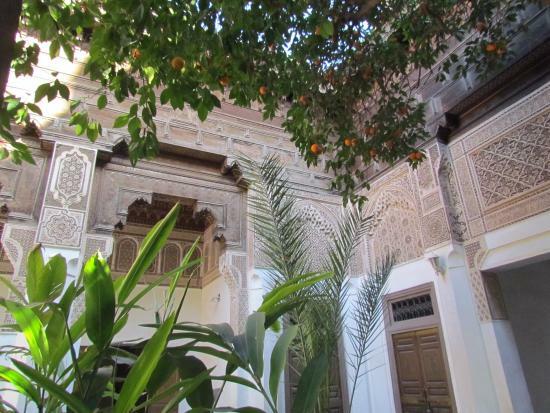 Set in a gorgeous riad house with wall hangings and carpets to mimic Berber furnishings, it is a wonderful spot to enjoy the desert culture and refresh with a drink in the courtyard. 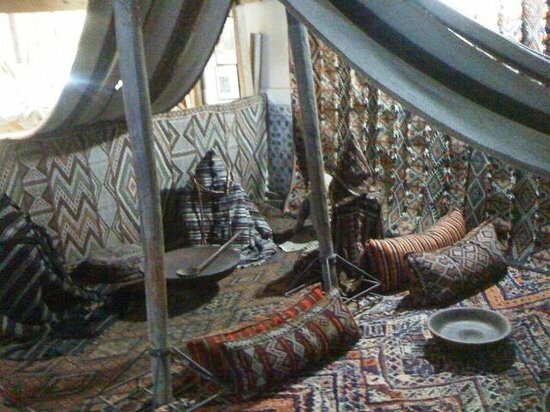 The museum is set up to take you through a typical old caravan route going from the Sahara to Marrakech, with each room a brilliant representation of stops the caravan would have taken. The museum opens at 2:30pm, and it is best to visit then, or soon after opening to avoid crowds. 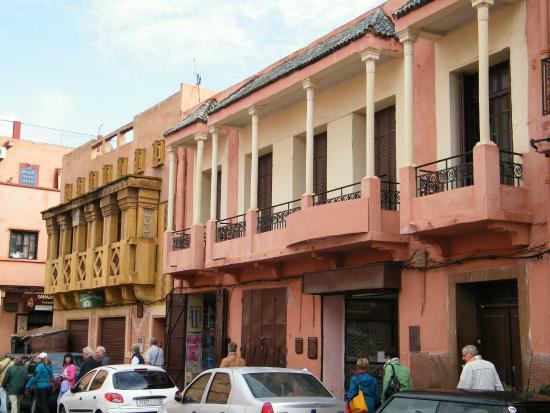 Mellah is the Jewish district of the city in Marrakech. 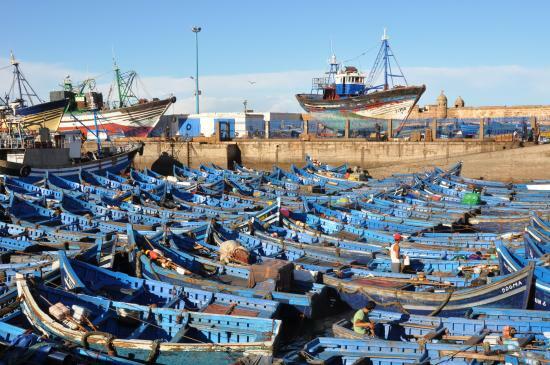 The area is dominated by the beautiful, archaic Lezama Synagogue, and visitors to the area can also explore the historic Jewish cemetery, the myriad spice vendors Mellah is known for, the handmade lantern workshops, and take in the local cuisine. A visit here will afford a different view of Moroccan architecture, as the buildings have balconies and feature the Star of David in their construction. An interesting look at another aspect of the city. 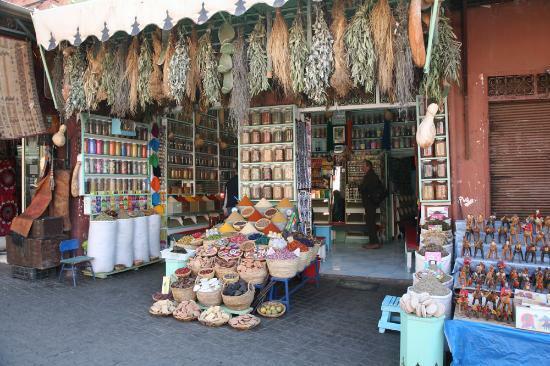 Haggling is acceptable in Mellah, especially with vendors who approach you to buy their wares, and at spice stalls. 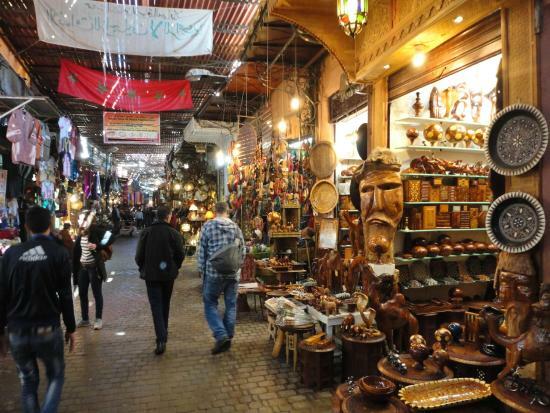 A great place to wrap up the day, the Marrakech Souk is a den of artisans. 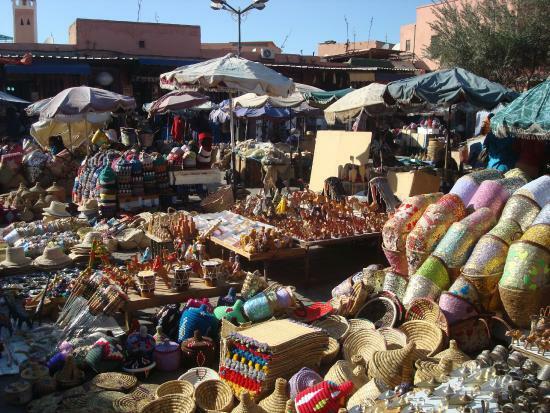 Like other souks, sellers have a variety of goods, and some of the joy of visiting the market is in wandering around and comparing what is on sale. 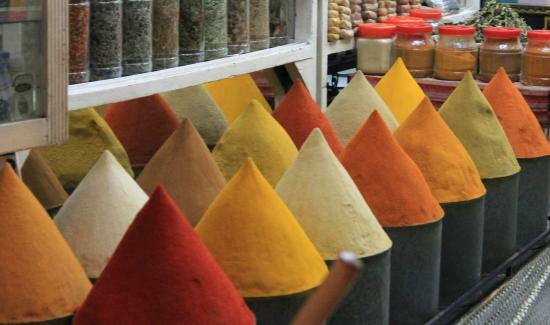 A dizzying concoction of streets and alleys, this is a fine place to shop for souvenirs and get your final fix of Moroccan wares. Many places sell similar items, so wander and get a good handle on who sells what to get the best price and the highest quality goods. Haggling is normal here. Be prepared to hold your ground on the price you are willing to pay. Even if the deal falls through, there will be another vendor. The salesmen here can be very aggressive, which can be tiring. If you find this off-putting, do not spend too long in the souk, or it will become stressful.